This is a sample template that we would use to have an elevator pad manufactured for you. One is needed for each wall of the elevator. 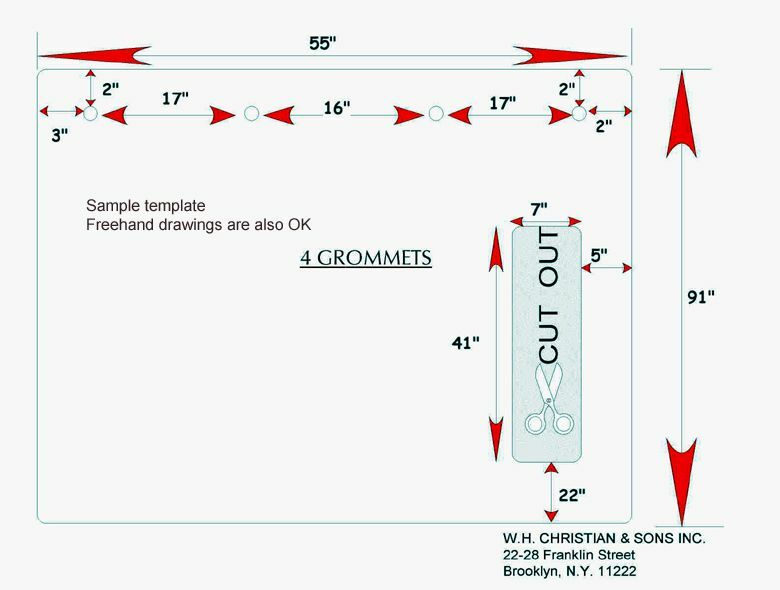 Complicated drawings or blueprints are not necessary to determine the size of each pad, just accurate measuring to insure a proper fit. If you are not sure what should be measured just give us a call and we will be glad to help with the drawing. 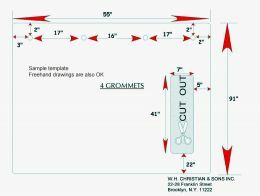 We can also send you additional samples of templates to ease the task of drawing from scratch. For our New York and surrounding area customers we will gladly come and measure your elevators for you at no additional charge.